It’s just one little blue, fragile piece of paper — but a lost Social Security card can add up to a lot of trouble. If you your card is missing, you need to act now. 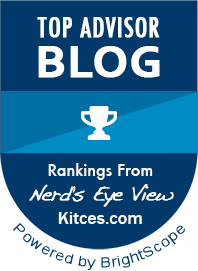 Your card lists out both your full name and Social Security number, and with these two pieces of information a thief can easily wreak havoc on your finances. 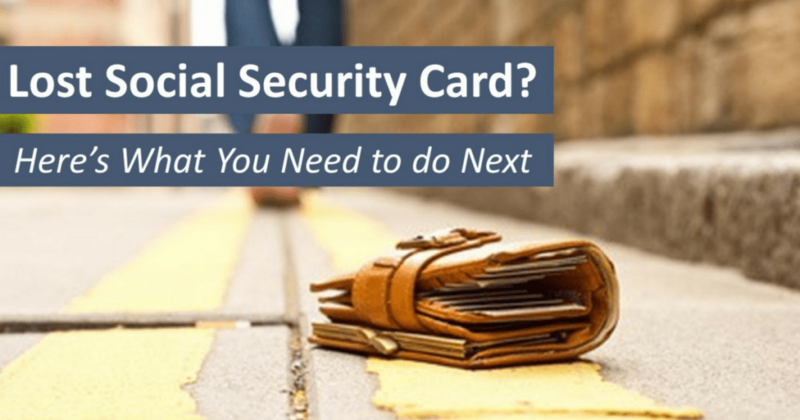 A lost Social Security card is all someone needs to open accounts, file fraudulent tax returns, get healthcare under your name, and a whole lot more. Needless to say, you should keep your card in a safe place (in other words, not your wallet) to prevent accidental loss or theft. But we all know things happen, even with the best safeguards in place. If your card does go missing, here’s what you need to do. The most important thing to do? Don’t panic. Take a deep breath and focus on what you can control — like taking the actions listed below. If you discover your Social Security card is missing, your first actions should involve taking steps to protect your finances. After that, you can order your Social Security card replacement. First, call one of the three major credit bureaus and ask to put a fraud alert on your file. The company you contacted will notify the other two and alerts will be added with those agencies as well. Next, request a copy of your credit report from each of the three credit reporting bureaus to make sure there’s nothing there that shouldn’t be. You can get a free report every 12 months from www.annualcreditreport.com. If you already pulled your credit report to check it in the last 12 months, you can still get a copy — and you should, to check for fraud after dealing with a lost Social Security card. You’ll need to pay a small fee ($12.95) to access it. Finally, report your loss to the Federal Trade Commission at www.identitytheft.gov. They’ll help you build an action plan to determine your next steps after taking the “take ASAP” measures listed here. Now that you’ve taken the initial steps steps to begin protecting yourself financially, you can request a Social Security card replacement. Don’t worry: it’s actually fairly easy to get a replacement for a lost Social Security card.. Most people can simply apply for a replacement online through the SSA.gov. But some people do need to fill out the paper application and mail it in. Here’s what to know to help you decide which method will work for you. The online Social Security portal allows you to do a lot. If you haven’t set yours up yet, I would highly recommend you do this as soon as possible. One of the more recent additions to the list of online features is the ability to request a replacement Social Security card. However, you must meet the requirements to be able to use this method. Have a driver’s license or a state-issued identification card from one of the following: Arizona, Arkansas, California, Delaware (driver’s license only), District of Columbia, Florida, Idaho, Illinois, Indiana, Iowa, Kentucky, Maine, Maryland, Massachusetts, Michigan, Mississippi, Nebraska, North Dakota, New Mexico, Pennsylvania, South Dakota, Texas, Virginia, Washington, or Wisconsin (driver’s license only). If you don’t meet those requirements, you’ll have to do it the old fashioned way. Find the required documents to verify your age, citizenship and identity (see below). Fill out and print a Social Security card application. Take or mail the documents and application to your local Social Security Administration office.To replace your lost Social Security card, the administration requires certain documents to verify your citizenship, age and identity. Generally, your birth certificate and US passport or driver’s license will be adequate for verification. Once you have your proper verification documents in order, simply fill out the SSA’s downloadable replacement card form (form SS-5) and visit your local SSA office. A processor will verify everything is in good order and you’ll have a new card in your mailbox within 3 weeks. Once you receive your new card, put it in a safe place until you need it. There’s just no good reason to keep your Social Security card with you. There may be an occasion when you’ll need your card, but otherwise you should treat it like cash and leave it at home with your other valuables. I’d like to hear from you in the comments below. Have you ever lost your Social Security card? Did you experience any fraudulent activity?